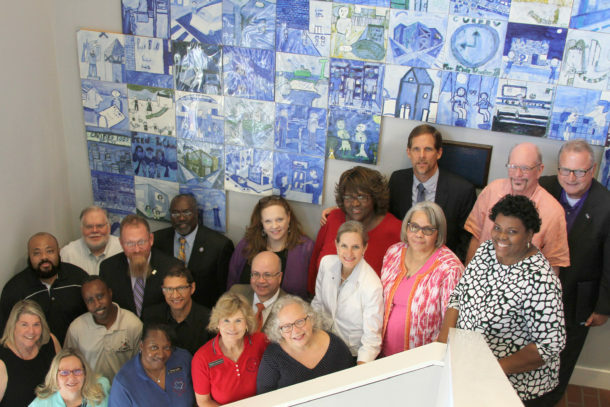 The Alliance is a full-service strategic partner for Texas-based groups working with and within marginalized communities. By working collaboratively with funders, partner organizations, government institutions and community leaders, we tackle the root causes of economic and health disparities such as access to food, jobs, housing, healthcare and education. We support leadership in identifying, creating and managing community collaborative initiatives. We provide clarity of issues and needs, and create opportunities for community engagement. Cultural humility begins with working from the ground up. We provide trainings for resource providers and community residents within marginalized communities. The classes focus on teaching citizens what their rights are and how to advocate for their needs. We work to strengthen individual leaders and organizations to build relationships and self-efficacy, equipping them to effect change from within their community. Alliance for Greater Works was featured on the Hogg Foundation for Mental Health’s podcast, talking about the Alliance’s role in the Collaborative Approaches to Well-Being in Rural Communities initiative. Sherrye discusses the ways which her team will be working with grantees to harness resources, develop leadership skills, and build stronger relationships in community.